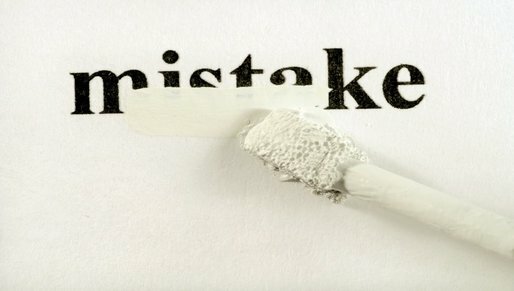 I made several mistakes when I started my ministry. Some of them were just plain silly and some others were more serious. I have kept this post as candid as I can, with the hope that it will help someone. It is my desire that you don’t make the same mistakes. Success in ministry brings a lot of attention and praise. If you fail to manage success it will lead you in a path that will eventually be detrimental to your health and ministry. When I first started out, people’s genuine acknowledgement of God’s anointing on my life helped me gain the much needed confidence. However, this confidence was soon replaced with an appetite for people’s praise and attention. It had developed into an unhealthy need to standout in every conversation, conference and gathering. I was addicted to being in the limelight. When I walked into a room full of people, everything had to be about me and conversations had to have me in them. I would resort to humour, criticism, preaching of the word (yes, that too), whatever would get the job done. Eventually, I learned that I had hurt friends with my jokes. People began to think I was full of myself. Some even told me that they were hesitant to speak in my presence. Obviously these are not very pleasant things to hear about yourself. I had to change, but I didn’t know how. Being quiet in a conversation was very unnatural for me. Yet, I didn’t want to be the insensitive, proud, full of myself person which some people thought I had become. Self-effacing means not claiming attention for oneself; retiring and modest. I’m still a student of this word and I strive each day to make it a part of my character. I had to be intentional about deflecting attention and praise away from me. It did not come easy, but I had to learn it one way or another. I learned to starve my appetite for praise. True leaders make it less about themselves and more about others. They are genuinely focused on calling out greatness in other people. When I first started ministering and speaking in different places, some leaders in my city seemed reluctant and even discouraging at the thought of a young 20 year old ministering the word. These acts made me very suspicious of church leadership. I thought all leaders were selfish and insecure. I was fearful that they would not let me fulfill my God given destiny. I thought they would seek to control me and limit me. I was afraid that they would ruin what God was doing. It took me a few years and some burnt bridges to realise my mistake. The Lord had to deal with me for harbouring bitterness and dishonouring His servants. I had to learn to sow honour into Christian leaders even when their behaviour was less than ideal. If you are a young leader, I encourage you to stay faithful to your pastor and church leadership. Let God lift you up in His timing. Our friendship with the Holy Spirit is the greatest strength in ministry. It is essential that we have peace with the Holy Spirit in our daily lives. And one of the biggest blunders I made was to justify to the Holy Spirit why some things were “OK”. I often picked what was comfortable over what the Holy Spirit was convicting me to do. To whom much is given, much is expected. If you really believe that the Lord has a calling on your life, you must be willing to walk with Him in agreement. Comfort may give us immediate benefits, but convictions lay up treasure for the future. I will share more in the next post. I hope this post blesses you.